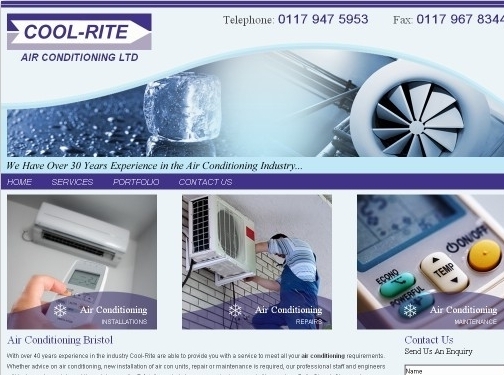 Cool Rite are a professional air conditioning company operating in Bristol and the surrounding areas. Their highly trained engineers are F Gas registered and pride themselves with a high level of customer service. UK (Bristol) based company - with over 30 years' experience - providing air conditioning and heat pump installation, repair and maintenance services. Website includes details of services provided, example of previous work ("Portfolio"), full company contact details including company registration number.